While the military base sustained some damage to its infrastructure, none of the bridges at the base were afflicted by the calamity, and the sizeable fleet of F-22 Raptor jets also emerged unscathed from the ordeal. While the Joint Base Elmendorf–Richardson, a military facility in Anchorage, suffered multiple problems due to the last week’s earthquake, including damage to ceilings, steel frameworks, sprinklers and heating systems, no deaths or catastrophic damage were caused by the disaster, US military officials announced. 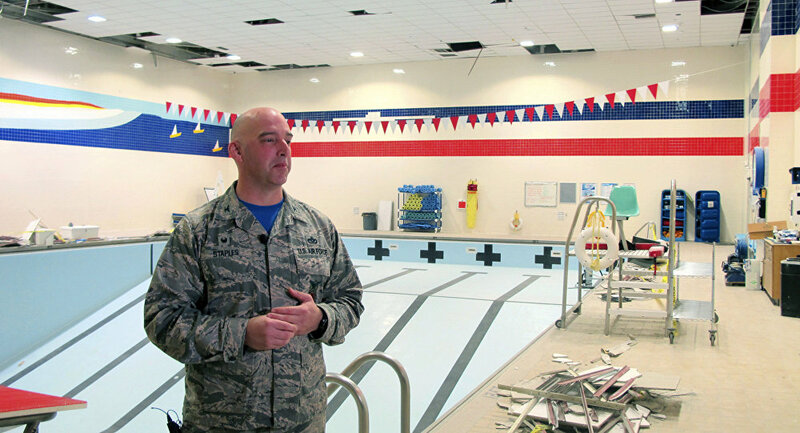 According to Air Force Lt. Col. Jacob Leck, director of the Joint Base Elmendorf-Richardson emergency operations center, he'd expected far worse, considering the power of the quake. "I thought for sure that we had significant damage and that it was going to be a catastrophic loss of some facilities. And to this date, we have not found anything of the magnitude that I ever expected," Leck said as quoted by AP. The military officials revealed that only one of the base’s 3,200 housing units was displaced by the quake, and that none of the seven bridges on base were damaged. The officials also noted that an airfield pavement evaluation team is currently en route to Alaska from Tyndall Air Force Base in Florida in order to do a subsurface assessment at the installation, while base spokeswoman Erin Eaton pointed out that none of the F-22 Raptor fighter jets stationed at the facility sustained any damage. A powerful magnitude 7.0 earthquake rocked Alaska on Friday, November 30, striking nearly nine miles north of Anchorage. The quake damaged structures over a wide swath of the temblor's impact zone area, disrupting power and cracking roads, though no deaths or serious injuries were reported.